In previous articles, I've talked about the importance of visibility and representation for trans individuals. I maintain that it is vitally important for people within all minorities (the trans community included) to voice their experiences and to be heard. In order to resist and destroy destructive stereotypes and fear-saturated opinions about trans people and what it means to be trans, we must stand up and express our truth and our perspectives in any way that we can. For me, that means writing. For me, the easiest way to express my experiences as a trans person is through poetry. That is why I wrote the book Red Gender. 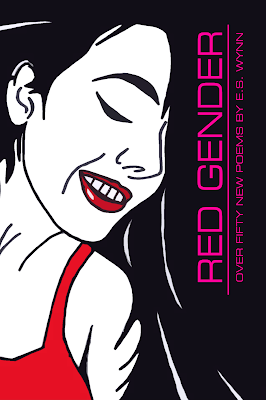 Though Red Gender is not my first collection of poetry to deal with trans issues (see my book Trans Physical Dynamics by clicking [here]), it is the first that I've written which deals with trans issues exclusively. Every one of the more than fifty pieces included in this collection is inspired by my life and growth as a trans individual. Some are spicy, some are spiritual, some explore my battles with gender dysphoria and some are full of great joy and gratitude for certain experiences that only a trans person could live through. If you enjoyed these pieces and would like to read more poetry on the trans experience, hop on over to Thunderune Publishing by clicking the link here: [link] and pick up your own copy of Red Gender today. Thank you for reading!